Would like to wish all of you a 'Merry Christmas', and I hope Santa makes your wishes come true! With Christmas fast approaching, turkey on the table and booze in the fridge it's time to let your hair down and enjoy CHRISTMAS! I'm sure I won't be only one that will have the word 'diet' in the back of my head on Christmas Day, but it's only one day so I'm going to very badly break the chain of my healthy eating, but after Christmas get back to my Zumba on the Wii and my pasta dinner's. I have heard a few people talk about 'Slimming World', I thought about going there but chickened out because I only moved to Durham in September and still feel abit lost, plus with my shyness I decided to give it a miss for a while. We have all seen fitness fanatic Davina McCall's workout DVD right? My friend swears by Davina, to this day she has always said she lost the stone for her wedding by doing the Davina workouts. Launching in time for Spring 2012, Davina For Next provides the ultimate workout and post work-out clothing along with a range of innovative everyday shoes which feature dual density mid-sole technology to reduce stress on joints. From aerobics to running, power-lifting to pilates – all in great modern shapes, fabulous colours and outstanding fabrics, there’s something for every activity. 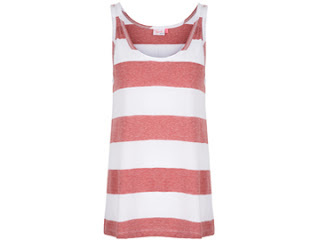 Davina For Next promises to shake up what any woman wears before, during and after her workout. 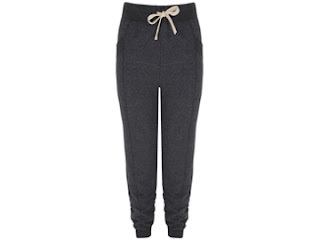 Her comfort and style are assured as she gets into great shape! You can always count on Davina, so no doubt these will sell very quick, keep your eyes peeled in Next! I remember being pregnant and on numerous occasions people would say "treasure every minute, as they grow up very quick"! I would just laugh because I heard it way too many times from people. That phrase some became 'o so true' when I gave birth to my bundle of joy (Alesha) on the 19th December 2009. The first year flew by very very quick, and so has the second! Me & Mr.B are so proud of our darling daughter, she amazes us each and everyday and always brings a smile to our faces when were feeling down. We couldn't wait to see her face, when she sees her presents and balloons (she is mad for balloons). Alesha's little tea party was at home because we don't have any friends etc in the area, so there was me, her daddy, one of her grandads and one of her godfather's. She had such a fun day dancing to her favourite songs, ripping the paper off her presents and best of all opening a birthday card to find money and then chucks the card on the floor! For Alesha's 1st Birthday me & Mr.B baked her a birthday cake and this year was no different, I had a good old nosy on YouTube and came across a castle cake that didn't look too hard to make! I was VERY nervous baking it, but the final results brought a smile across my face. A bigger smile was seen on Alesha's face when I brought the cake in and everybody sang 'Happy Birthday'. The dress she wore was the one me & Mr.B bought for her as bridemaid for our wedding, but we have put it back 2 years so she would be too big for the lovely dress so we decided she could wear it on her birthday and also Christmas Day. Our little girl looked so grown up, it brought tears to our eyes. 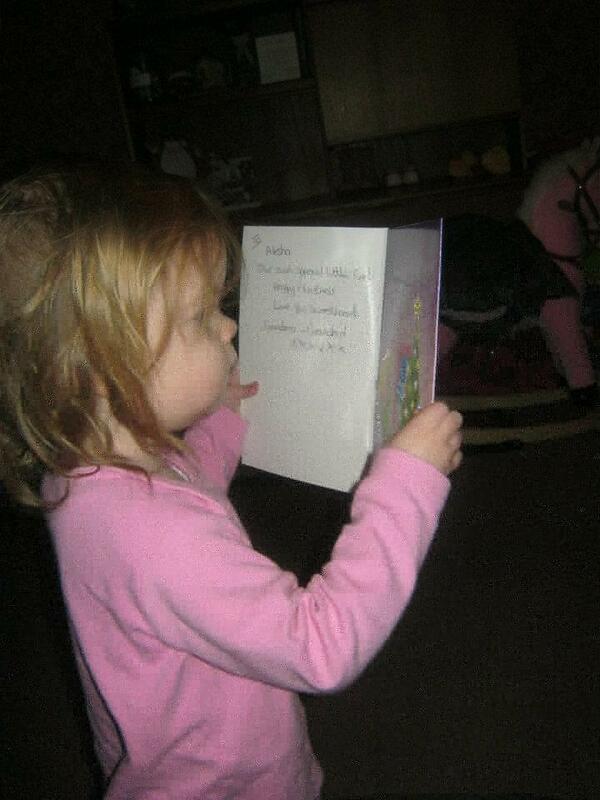 Mummy & Daddy loves you so much Alesha, your our special gift, your the world to us sweetheart! Are you doing some last minute Christmas shopping? Unsure of what to get someone? Well I may have the answer, how about some Sampler candles? You get up to 15 hours of home fragrance for just £1.75 (that works out at 11p for a constant hour of home fragrance!) and because of the complex layering of each Yankee Candle fragrance, you know you will still be able to smell the fragrance for a long time after you have put the candle out. You could put the sampler in a Foil Pattern Votive Holder (£4.15) or a Roly Poly Holder which is just £1.09 and wrap in clear cellophane with a coloured ribbon for a lovely present. I was over the moon to have received a box containing different fragranced sampler candles and also 3 Foil Pattern Votive Holder's. 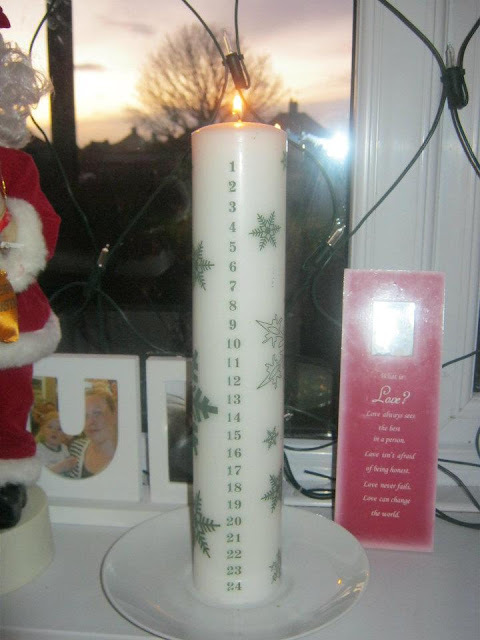 As soon as Mr.B opened the box the lovely strong scented smell from the candles escaped into our living room! Our living room smelt 'good enough to eat' and that's without lighting a candle. Later that evening we lit one candle in the holder and within a few minutes the scent was all around the living room. It was lovely to relax and unwind in a yummy scented room! The next morning when Alesha got out of bed, she kept asking me to take a candle down because she wanted to smell it. After having a sniff of each candle her response was "mmm nice mummy"! So it's not only me & Mr.B that has a thing for Yankee Candle's. 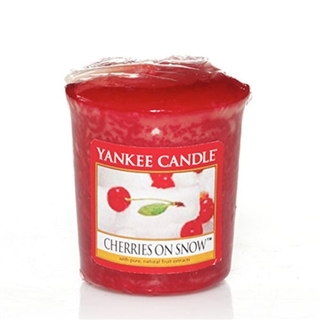 Yankee Candle's have a wide variety of Christmas fragrances out now! 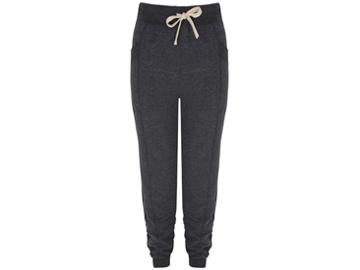 You can purchase them from a wide range of high street stores and also many online shops including www.yankee.co.uk. Christmas 1969. Seventeen-year-old Mike Kittredge, too broke to buy his mother a present, melted some crayons to make her a candle. A neighbor saw it and convinced Mike to sell the candle to her. With that small stake, he bought enough wax to make two candles - one for his mom, and another to sell. That was the birth of Yankee Candle. 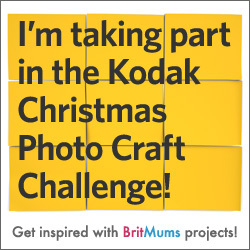 I'm Taking Part In The Kodak Christmas Crafts Challenge..Are You? 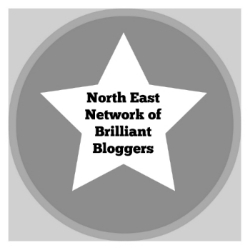 I joined the Britmums community a few days after I started blogging, Britmums helped me find my feet in the world of blogging! 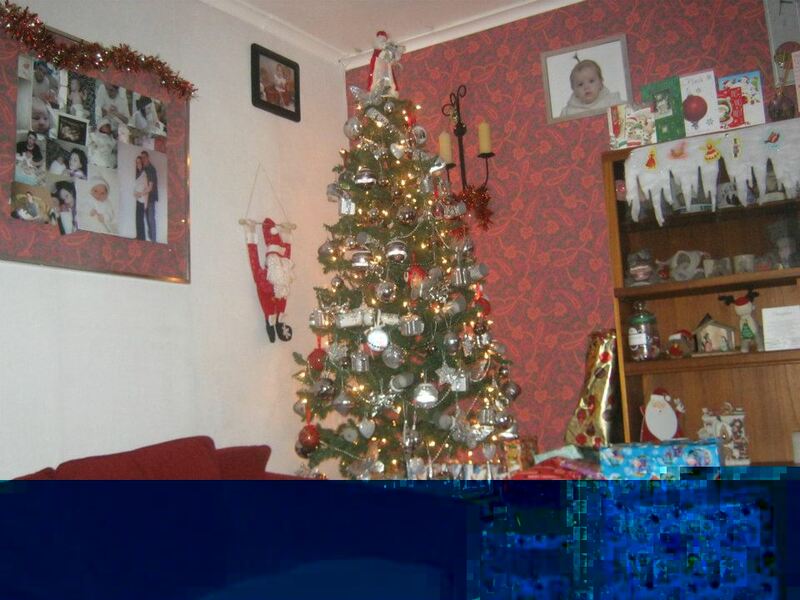 They have got a challenge running at the moment- the Christmas Photocrafts Challenge! 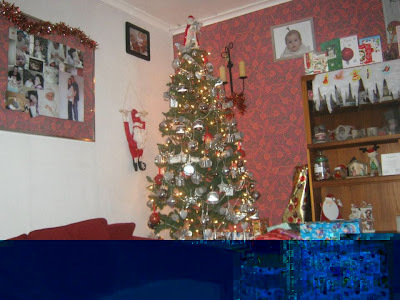 #printerprojects which is encouraging everyone to use their printer and Kodak’s cheaper-than-you’d-think printer ink to create gorgeous Christmas decorations, treasured keepsakes and memorable gifts. I love to get creative with Alesha especially at Christmas time making Christmas cards and placing an old photo of the person on the front of the card, Alesha then gives her special touch by writing (scribble) her name on the bottom at the back of the card. The personalised handmade photo cards always seem to go down well, think we will have to change and think of something else for next year. Our most treasured photo craft has to be the photo collage me and Mr.B put together, a few days after I gave birth to Alesha back in December 2009. We used our photo printer (which is now broke) to print off some photos, we printed ones that really ment something to us, me & Mr.B feeding Alesha for the first time, a photo of Alesha when she first arrived into the world! We also placed 2 professional photograph's into the collage, Mr.B standing behind me holding my stomach when I was pregnant and the other is Alesha's first professional photograph in hospital. Also in the the collage you will see my first scan picture of Alesha and also her hospital name band which was on her leg. Now I have shared my craft idea's with you, why don't you share your's with us, or even a photo you would like to use in a craft, it's as simple as that! I am loving Mr.B's new job because he works two 12 hour day shifts and then two 12 hour nightshift's and then he was 4 WHOLE days off, "plenty of family time"! Today is his second day off work and considering Mr.B has caught up with his beauty sleep, we decided to go do some Christmas shopping with our little princess, "she isn't that little, she turn's 2 on the 19th scary"! 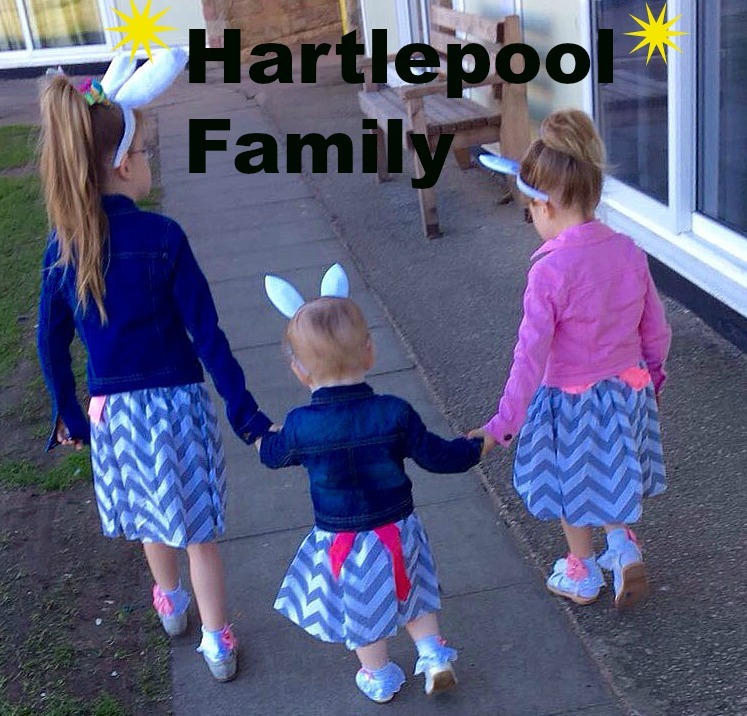 We took a trip to Sunderland as our town hasn't got that many shop's. We spotted the Santa's Grotto so we decided to take her there. Alesha is more aware of Christmas this year, she sings the Christmas songs, she knows what a reindeer,snowman, Santa is and all the rest! Men and Mr.B like to read her Christmas stories and show her Christmas songs. With the decorations and the Christmas tree up in our house, she has got very excited and like's to talk to the singing Santa on our living room window sill. Back to today, we thought she would of been overwhelmed to sit on Santa's knee but as we edged closer in the queue, she got more and more scared, gripped onto me more and more. Me and Mr.B was saying "look at this little girl sat on Santa's knee, Santa is giving her a cuddle, would you like a cuddle from Santa"? Her reply was "NO" and clung to me even more! It was Alesha's turn to go in and see Santa, I placed her next to Santa and she cried to get up. So I sat next to Santa and Alesha sat on my knee. She was then happy talking to Santa, "she even gave Santa her favourite teddy"! Ever since we got home, all I keep hearing is "look mummy, Alesha and Santa" (pointing to the picture). What was your child's experience when they saw Santa for the first time? Christmas is only a few weeks away but don’t worry – Aldi has a selection of indulgent festive food and drink at great value prices for the whole family to enjoy. When I was contacted by a lovely PR to ask if I wanted to review a few of Aldi's Christmas goodies, I jumped at the chance! I have been to my local Aldi a few times and I enjoy their food and but more especially I enjoy the everyday essentials department. This year I haven't had a chance to taste their Christmas product's firstly because I haven't done my food shopping yet! I was really excited when my postman knocked the door with my Aldi product's, guess what? "He had 3 Aldi parcels for me"! "Yes three"! I was like a little kid at Christmas time, I couldn't wait to see what was in the boxes. Mr.B gave me a helping hand opening them (not that I needed it), he was very happy to come across a packet of Scottish Smoked Salmon, his favourite fish! 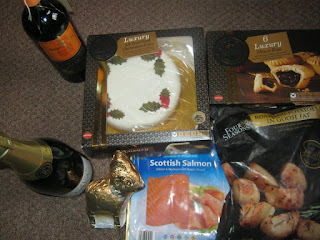 We also received, Luxury All Over Iced Christmas Cake, 6 Luxury Mince Pies, Chocolate Reindeer, Roasting Potatoes In Goose Fat, Rijoa Reserva and another bottle of Amador Cava Brut. The day before Alesha received a few of their Christmas Sticker and Activity Books which are on sale from only 99p. I think these books are a bargain at 99p, so grab one while stocks last! Alesha had loads of fun, she enjoyed colouring in Santa and his reindeer and also putting the stickers on the pages. A lovely treat for a little one at Christmas, the books contain activities, games, puzzles, stickers and press-outs. Me and Mr.B enjoyed a glass of Cava with our chicken pasta, it wasn't Mr.B's cup of tea because it was too sweet for him but me on the otherhand I poured out another glass! My tastebuds enjoyed the citrus taste from the Cava and I to me the Cava went with my meal, even though most people say Cava goes best with fish. Aldi's Amador Cava Brut is priced at £4.49 which I think is a very reasonable price. Are you looking for a low cost Christmas cake that taste's delicious? Well look no further, Aldi's Luxury All Over Iced Christmas Cake is only £6.99, "isn't that a bargain"? I was attracted to the holly design on the top of the cake, it wasn't over done with decorations, so therefore it was very appealing. We have not yet tried the cake as we decided to put it away and enjoy it after our Christmas dinner, but a friend of mine had a piece of the cake last week at her work's Christmas party and she said it was tasty, rich and moist, she also gave a positive comment on the icing on top and the marzipan. Next up is the Luxury Mince Pies that retail at 99p for a box of 6. I'm not a fan of mince pies, never have and don't think I ever will, but Mr.B and Alesha had one. There was no way Alesha would put anymore in her mouth after the first bite so hers went straight into the bin! Mr.B enjoyed them that much that he had another one, he said "the taste of brandy was slightly strong but I liked it". The chocolate reindeer was eaten by the 3 of us, "how nice are we sharing chocolate"? or the size of the reindeer and the taste, it is definitely worth 99p, an ideal stocking filler for the young and old. It was beautifully wrapped in the shape of a reindeer, Alesha knew right away what animal it was! These are available in both milk and dark chocolate, grab some while stocks last! Mr.B as of yet hasn't got round to cooking a meal for him and Alesha with the salmon, he is too busy working but he finishes for Christmas on the 21st so I'm sure he will enjoy the salmon then! You can find it in Aldi stores for only £1.99. 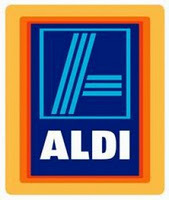 If you are wanting a Christmas product then you would need to visit an Aldi store a.s.a.p because the products are only available until stocks last! If you haven't read part 1 - 7 you can do so here. 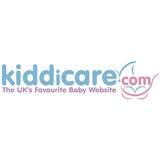 'Established in 1974, Kiddicare is the largest online nursery and baby supplier in the UK'. 'Our 60,000sq foot showroom based in Peterborough (www.kiddicare.info) is the largest in Europe and offers one of the widest ranges of baby products, accessories and equipment stocking all your favourite baby brands including Quinny, Maxi-Cosi, Britax, Graco, Maclaren,Baby Bjorn, Cosatto and Phil & Teds under one roof'. Alesha was sent one of their products to review, Little Helper Kroom Dollshouse with Furniture she was really happy to see it upon it's arrival into our household, "what little girl wouldn't be happy with a new dollshouse" ? Mr.B was at work the day it arrived so it ment Alesha would have to wait until he got home because I took a look into the box and it look way too complicated for me. So with that in mind you could picture the reaction from Alesha, let's just say "she wasn't a happy bunny because mummy was making her wait"! Mr.B made it look very easy when he was putting it together, so I decided to give him a helping hand and put the furniture together, it wasn't as hard as I predicted. When it was all done it looked absolutely beautiful, I couldn't wait for our little miss (AKA Alesha) to play with it. The cardboard was very strong which ment the dollshouse was sturdy. The dollshouse has lovely bright colours, great for little imaginations! The multicoloured dollshouse is the eco friendly gift for Christmas, made from reinforced recycled cardboard. It comes complete with a 14 piece furniture set for your little girl to create an imaginative world and lots of fun. It’s easily assembled (requiring no tools at all) and so your little princess can get playing on Christmas morning. 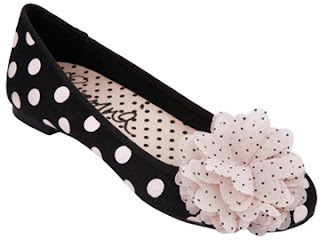 You can find the dollshouse over on their website for £19.99, I personally think that's a good bargain! 'Mostly known for our heritage signature brand of delicately fragranced bathroom essentials, we are also the company behind a diverse range of other well known brands. Each and every one of the product's are created with a unique enthusiasm for perfection'. After a long day, there is nothing better than a good soak in the bath even better with a Baylis & Harding product. I have always bought Baylis & Hardling giftsets for my girly friends as a Christmas or birthday gift. I was sent a beautiful Sweet Mandarin and Grapefruit Luxury Boxed Gift Set to review as part of this Christmas guide. I couldn't wait to relax in the bath that night, so as soon as Alesha went to bed, I ran some warm water into my bath and added some of the bath and shower creme into the running water. The smell was to die for, a relaxing sweet smell. I can honestly say that I really enjoyed my bath that night. After the bath I put some of the body lotion onto my face and neck, and again the scent was lovely! Even Mr.B commented on how lovely I smelt when I sat next to him on the couch. Baylis & Harding products has never irritated my skin or caused and dryness, I would highly recommend Baylis & Harding. They have a wide range of choice to suit everybody, my young to old and even for men! The luxury giftset that I was sent retails at £25.00 and you can find them stocked in a wide range of shops including Boots!